1976 "Musag" no. 13 pp. 38 - 39 "Haim Moskowitz: Black Parallel Lines"
1980 "Shadmot" 76, Elul 1980, pp. 113 – 115: "Blowing spirit of Life in the Spirit of the Kibbutz"
"Yahad" no. 22 pp. 3 – 5: "Dissolving Myths"
1983 "Shadmot" 85, May 1983 pp. 28 – 55: "The Blindness"
1984 "Shadmot" 86 – 87 September 1984 pp. 155 – 160: "The Prayer and The Boy's Whistle"
"Heddim" 8 (118), November 1984 pp. 38 – 44: "The Common Factor Kibbutz – a symposium" and works for "Heddim" p. 41 and 63. 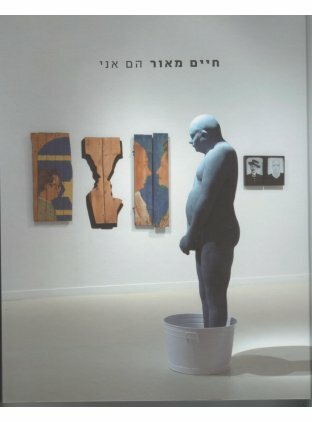 1997 "My Yellow Robe (The Holocaust in the Poetry of the Second Generation: an anthology)", publication of The Hebrew Authors Association in Israel. Editor: Oded Peled text, cover and illustrations for the book. "Covert Memoty – Overt Memory: The Consciousness of the Holocaust in The State of Israel", a book published by "Massua"
and by The Ministry of Defense. Editor: Yo'el Rappel. "The Sabras Who Did Not Go in The Fields", an article by Haim Ma'or, pp. 137 – 154. Breaking Crystal: Writing and Memory After Auschwitz, Edited by Efraim Sicher, University of Illinois Press Urbana and Chicago, p. 201 - 251. 2000 "Bridging The Gap", edited by Dan Bar-On, edition Korber-Stiftung, Hamburg. "From The Regions of Memory: Works by the Second and Third Generation of The Holocaust Survivals", published by Beit Lohamai Ha'Geta'ot – 'Beyahad' publication and by the Emmek Israel Academic College. Editor: Dr. Ronit Fisher. "Yellow Badge Album", Edited by Ze'ev Barkan, Ze'ev Barkan Private Press, Jerusalem, p. 6, 14 and cover. 2010 pro memoria (2) 29. Państwowe Muzeum uschwitz-Birkenau, Oświęcim. 2011 "Haim Maor They are Me" Editor: Ruthi Ofek, The Open Museum, Tefen and Omer Industrial Parks. A detailed list of more than 1000 files containing articles and essays published by Haim Ma'or since 1981 till today, in daily newspapers and in magazines and periodicals and \ or were written about his artistic work and as a curator, can be found at the "Israel's Art Computerized data-base", under the management of Rami Cohen.